Teething is not a milestone that most parents enjoy as even the happiest baby can turn into a fussy mess. While teething could be the primary cause of the symptoms your baby is experiencing, congestion and a runny nose should not be one of them. According to Dr. Reitano of Reitano Dentistry claim that the most likely cause of nasal congestion could be a common cold, seasonal allergies or the flu. Normally, common cold or the flu will disappear in about 10-14 days. During this time, you’re your baby plenty of fluids. You can also run a humidifier to help keep the air moist. These ailments are caused by viruses, therefore, antibiotics will not be effective. Teething, on the other hand, shouldn’t cause too much more than mild gum pain, fussiness, drooling, chewing and biting, and potentially some mild inflammation for a few days as the tooth erupts. 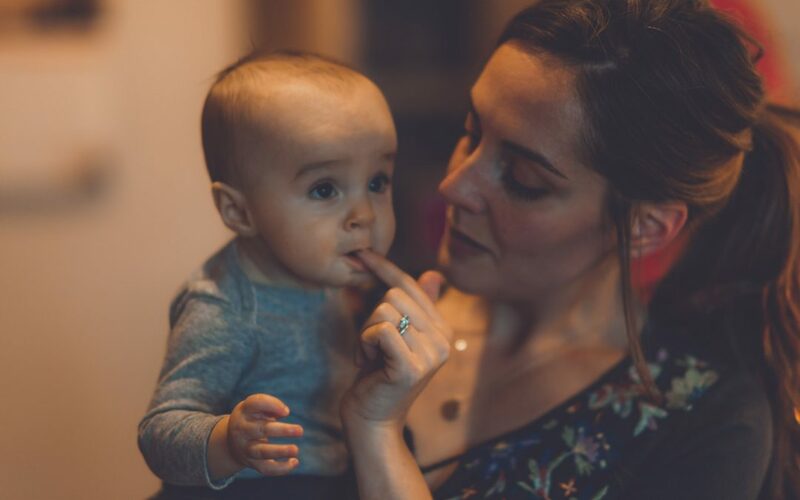 If the discomfort is a lot for your child, your Virginia Beach, VA dentist recommends letting your child bite on a cold teething ring or applying some baby-friendly numbing gel to quell the inflammation and soothe the gums in the meantime of the new tooth coming in. If you have any questions, don’t hesitate to contact your local Virginia Beach, VA dentist. Setting up your baby’s first appointment with the Reitano Dentistry team helps you know what to expect as your baby grows. When you come to us, your family’s smiles will be in good hands!